SECOND, Start studying. Follow the Master Curriculum Guide, take notes at briefs. Relax on Friday night, and spend the rest of the time studying Emergency Procedures and your NATOPS. Just read like you would read a book, only read it over and over. Now let's get onto the Gouge you'll need for each event of each block. CAUTION: Use at your own risk. ALWAYS check Gouge with your pubs and local SOP's, and NEVER rely on Gouge as your sole study material. Use the gouge for review ONLY after it has been updated with the latest changes, or risk Ready-Room down. 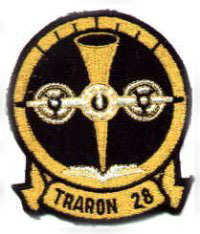 Note: The VT-28 schedule is unique to VT-28. The course rules are unique to Corpus. The radio calls are unique to Rangers. Gouge Structure: Each block has one or more "events". I break down each event with the standard discuss items (including special syllabus requirements) and new procedures/maneuvers for THAT event. Typically, you will need to know ALL procedures/ maneuvers for a block by the first event. Discuss items, although required for THAT EVENT, will be required permanent knowledge for events (and blocks) following that event. Below is my progression through Primary. Use this AT YOUR OWN RISK. Your schedule may be different, especially if you are VT-27, and definitely if you are at CTW-5, Vance AFB, or Moody AFB. I included general dates because this stuff changes regularly. Don't get "pink sheet-ed" for relying on out of date gouge. Please contact me if you find bad gouge. First few weeks: Move-in, Sign-in, Check-in, Briefs and lots of opportunities to READ. Next couple weeks: Systems / Metro, more briefs. Always read the books cover to cover BEFORE ground school. Everybody hates Ground School, but luckily two weeks later you will be in the cockpit. Following Ground School: "CPT's". You should KNOW those Emergency Procedures by now, these should be easy - you're just now getting used to the T-34C front cockpit. If you're like me, you're getting used to any cockpit for the first time. After completing CPT's (C20 block, i.e., C2001-C2005), you might get some watch assigned in nice 8-10 hour blocks at various places. Good opportunity to learn how things work at the squadron. NOT a good opportunity to slack off or fall asleep. Be late or screw up and get put in the zone*. *=more watch than everybody else. During this time you will be assigned an "On-wing". He will be your first in-plane flight instructor for the first several and many later flights. C1001 "FAM-0": This is basically an introduction to your new career. Be prepared. KNOW your T-34C NATOPS specifications ( Limits, ranges, etc) and your Preflight procedure. Have the synthetic courseware "ICW's" done through Fam 5 before this event, and talk to guys around the squadron about the latest things to look for. Always be at least 2-3 flights ahead. Expect at least one event per day from now on. Here's some helpful T-34 gouge from LTjg Cason, now (at the time of this writing) at HSL-41 at North Island. C4001 "Fam 1": The first flight. This was pretty awesome for me, being my first time in the plane. C4002 "Fam 2": Work on trimming and basic procedures. C4004 "Fam 4": EOB (End of block) See your MCG (Master Curriculum Guide) for scores you need to get out of block. C4101 "Fam 5": Know ALL MANUEVERS in the block for this event. This is where grades start creating your future. C4102 "Fam 6": Mine sucked. This event was tough for me - it's the first time you do HAPL/LAPL/PEL's. Use this time during BI's for the next week to study for C4103. C4103 should be rock-solid after all this prep-time. I2001 "BI 1": Back in simulators. Refreshing, but they are inherently UNstable - opposite of the plane. Know your TRIM settings and scan patterns - it will really help. If you want to fly Props, you will be using this A LOT in the future. I2002 "BI 2": Keep trimming. I2003 "BI 3": KNOW your maneuvers cold before this event. I2004 "BI 4": EOB - A lot of guys don't make it out of block on the first time. Depends on the instructor & what sim you get. The sims can be really tough depending on which one you get - #15 is supposedly like the airplane. C4103 "Fam 7": Your buddies at VT-27 will continue with BI's for a couple weeks. Nice to be back in Fam's. C4104 "Fam 8": EOB. Half-way to Solo. A lot of stuff to get out of block here, expect lots of EP's at the worst times. C4201 "Fam 9": First opportunity to do PA's - ungraded items in this block. You made it. Congrats on passing your Solo. I would recommend NOT using any Gouge for P.A. 's, use the FTI. Look around - feel proud that you made it this far. You're now in the tenth percentile (90% of others have failed to get where you are now). C4501 "PA1", C4502 "PA2" Checkride, C4503 "PA3" SOLO, C4504 "PA4" Checkride, C4505 "PA5" SOLO: Three flights & Two solos. Great time. Best part of flight school so far. Be ready and don't be an idiot - do some P.A. 's on your solos. It may be the only time in your career to do P.A. 's solo, unless you are one of the 20 or so students these days that magically get jets. F4001 "Form One": BE READY. Know everything by this event, especially the Form Brief. F4002 "Form Two": Wing is now the leader. F4003 "Form Three": Form One all over again. F4004 "Form Four": Form Two all over again, only now with more EP's & some touch-n-go's. F4005 & F4101 Solo: The Checkride & Solo will most likely be on the same day. Be rested for 4-5 hours of flying. I2004 "BI 4": It's been many weeks since the sims. From here on you should know where everything is. I stopped using the gouge because it was more cumbersome than the actual pubs and manuals. There is gouge for these flights, however, at www.navygouge.com. I4001 "BI Flight 1" Finally in the airplane again, now all you have to get used to is shadows across the bag. Easy to get what I like to call reverse-Vertigo where you feel like you are in a turn when the instruments tell you that you aren't. Of course, the instruments don't lie. Hint: you can use the NACWS to help with simulated AC power failure (turn needle/ball/Pitot-Static flying), but if you're honest and want good training, don't do that. I found out about that one after I completed the block, wondering how my buddies got 5's on their Partial panel stuff and I got 3's & 4's on it. I4003 "BI Flight 3" More Basic Instruments, the last you will get until RI's. » IGS (Instrument Ground School) 2 weeks of classes about flying on instruments. Soak up as much as you can here. You will do this class again one more time before the big FAA/DOD Instrument exam in Advanced training. It's the same for all pipelines, although the emphasis on knowledge for the flight event portion is tailored to your future fleet aircraft. This is what your dining room table will look like for about a week. Okay, so you finished Instrument Ground School, and you're an expert on instrument rules and instrument flying, right? Nah, the Navy knows you can't be taught something once and retain it for a year, so you'll do that class two more times before getting to the fleet, and then every year after that. The Radio Instuments portion of the syllabus is very difficult for many, especially if you're not prepared. This is where all that nerding out with mathematical calculations and playing video games will help you. It's all about how fast you can read all the instruments. For your flights you will have to GET ORGANIZED. Besides CCM (cockpit crap management), you'll need a fresh sheet on your kneeboard every hour or two of flying. I recomend a gouge card like this one: R.I. Communications Kneeboard Gouge Card. You neeed to focus your effort on getting a fast scan down, then be organized, then talk to people. However, you can't omit any step, and they must be done in order or your problems compound. I recommend getting the flying down using the RIOT Trainer way before you get in the cockpit. You'll be miles ahead of your peers. RIOT 4.4C (Radio Instruments Orientation Trainer) - This is the newest, most updated RIOT trainer. I found it hidden on a dutch civilian training website in early 2002. Just follow the user agreement on installation. This one is error-free and Windows XP Home/Pro compatible*. I2201 - First RI Sim. Pretty easy no matter how you do. I2202 - Look for fluctuating instruments. I2203 - More of the same. I2205 - Can't wait to get back to the airplane..
I2301 - Introduce more RI procedures. The trick on the sims is to pretty much memorize the entire route if you want to get good grades. You already have the route in front of you, so you should never have to do anything new in the sim. However, if you want to LEARN how to do the procedures when necessary like you will have to do in the plane, I would almost go into it without having it memorized for more of a challenge. I4101 - Flew to Kingsville & back. Pretty wild on the Radios, and pretty tough. Major factors that will help you in Primary RI's when you're starting out (i.e. better grades) - Time of day: Early evening is quieter on the radios, it's less gusty (BAW), it's cooler, and it always seems like you have extra time to do everything. Day of the week: Thursday-Sunday - best days to fly. I4102 & I4103 - Went to PSX after dark. Nice trip, lots of time to everything, 9,000' Penetration was pretty cool. It's a good deal to fly multiple hops on one day. Try to do that whenever possible. I4104 & I4105 - Flew on a Sunday evening (nice) but just flew around the local area. Watch out for the unpublished Procedure turn at CRP that controllers refer to as the "Published Procedure turn", especially when Approach puts you into holding there. Hint: write in the unpublished holding pattern on your plate before you go out. Get that gouge from an instructor BEFORE the flight. I4290 - Ahh... last flight in Primary done in the local area. The I4290 doesn't have to be flown by itself. It can be the 2nd or 3rd of more legs of a flight. Selection - Three days later selected HELOs. Questions? Send me an email. I3002 - More sims, same deal as Primary. Canned "Round-Robins". I3003 - Make it stop! Actually these sims are much more relaxed than Primary. I3004 - More of the same. Get your Cross-Country paperwork in NOW with the Squadron, or it will be too late when you complete sims..
I3005 - The Prop guys will be with you in the sims, only they will have a few more things to do in the sim. I3006 - By now you should have done the ASR, and LOC and realize how nice those are to have..
I3007 - More of the same..
I3008 - Yes! Last sim in Building 89 forever!! Onto Cross-Countrys. I5001, I5002, I5003, I5004, I5005, I5006 - Went to Austin, TX. Pretty fun, nothing new, just refining your skills. Did some crazy 45° crab-angle holding on the way out there. Nice not having the bag on, and we got some actual IMC time, too. New curriculum guys may use the GPS, but everybody should get a chance to back up all their work using it. It is the same GPS in the TH-57C if you select HELOs. C5101 & C5102 - This is awesome. Low-level and fast to and from David Wayne Hooks in Houston, TX. Get ready for HELO world, this is what it's all about. 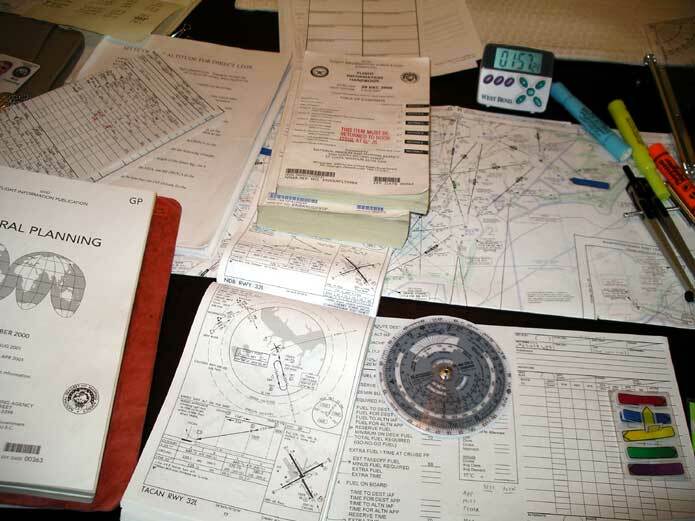 Make sure you make 2 sets of charts and 2 sets of jet logs, and give your instructor one set. It makes the whole flight easier and more interesting. I5007 & I5008 - Fast trip to & from the southern most point of Texas. Pretty cool to see Mexico and the southernmost inland point of the U.S. Made over 230kts ground speed at high altitude, way back almost all actual IMC. Very cold up there. I5190, F5001 & F5002, N5001 & N5002- To & From New Orleans via Lakefront & Chennault, LA. Cruise formation is the way to go. Just be sure to look up periodically when you're CRM looking the map for long periods of time. This was my first time sick in an aircraft. Got stuck in New Orleans (aw, shoot) because of icing on the field and 200' ceilings. N5002 - Had to complete this event because of weather on the way back from New Orleans, flew North route. Checked out on leave for the last two weeks in Corpus, proceeded to Milton, FL for Advanced. You're not allowed to check out until the day your orders state, but they won't give you a stash job for only two weeks. Otherwise I'd try to get OHARP if there were more time.